When you’re looking to have a good time with your friends and family at home this summer, you’re inevitably going to step out onto the back patio. Sure, you’ve spent all the time and money making your home’s interior as beautiful as it can be, but there’s nothing about interior design that can compare the beauties of the great outdoors! That’s why it’s so important that you put as much emphasis into the design of your outdoor living spaces as you do to your interior ones. When you have a beautifully designed patio that incorporates all of the elements that you want, you have a living space that’s going to give you and yours years upon years of enjoyment. Oh, and it won’t hurt that home value if and when you ever decide to sell! Now, if your home’s patio has been in need of an update, then you’ve come to the right place. 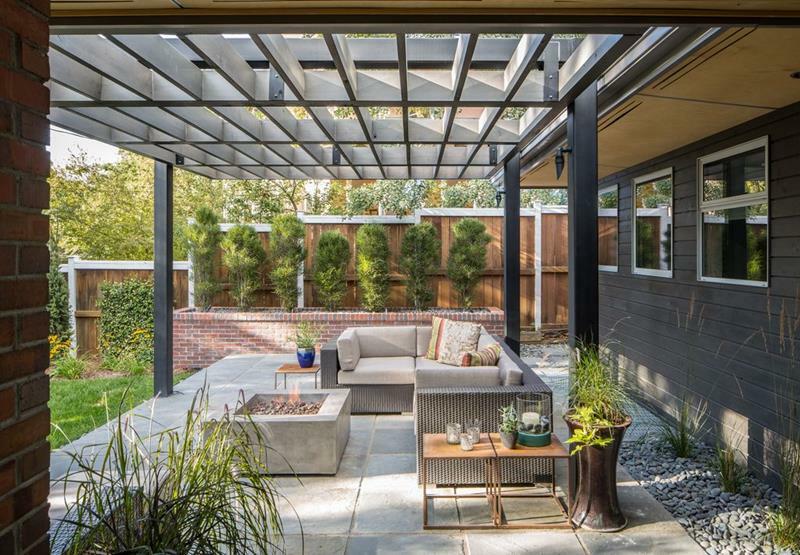 On the list below, we’re going to share 20 absolutely stunning patio designs. In each, you should find plenty of design inspiration of your own, which should in turn yield you a patio that you’re proud of and can enjoy with family and friends. Let’s take a look! 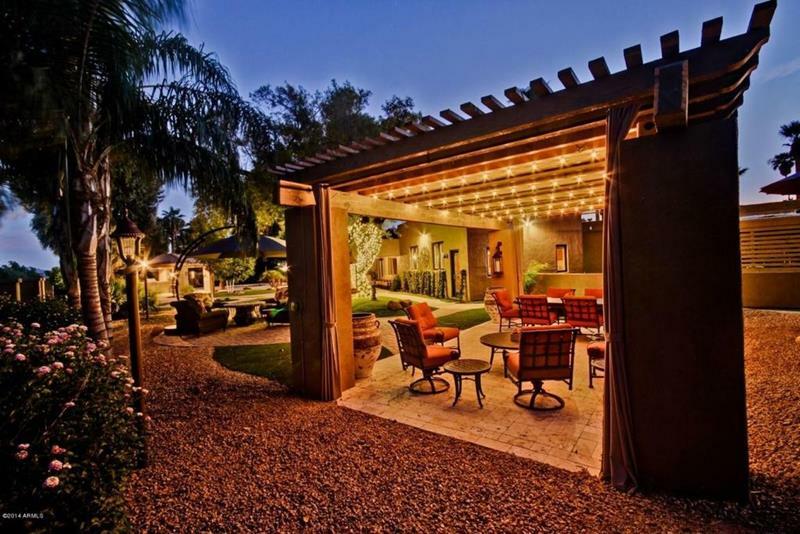 Those who like to eat outdoors would just love to have a patio that features a covered dining area like this. 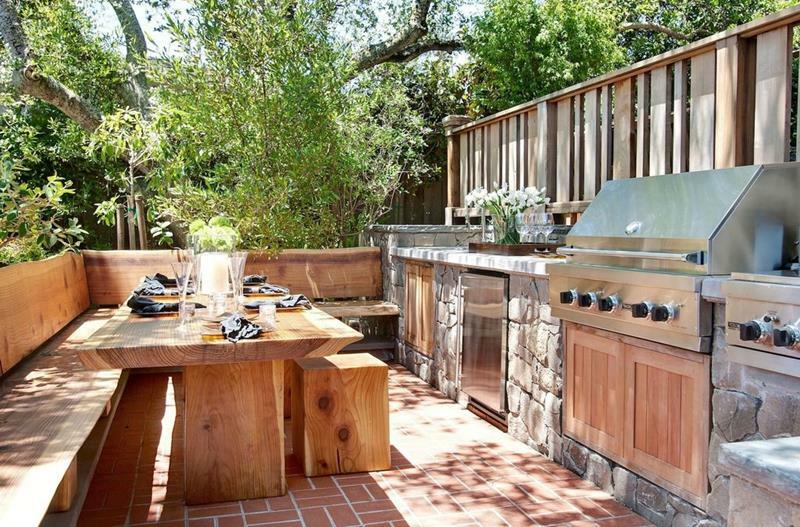 Without a lot of room to work with, this lovely patio manages to incorporate both an outdoor kitchen and a dining area. 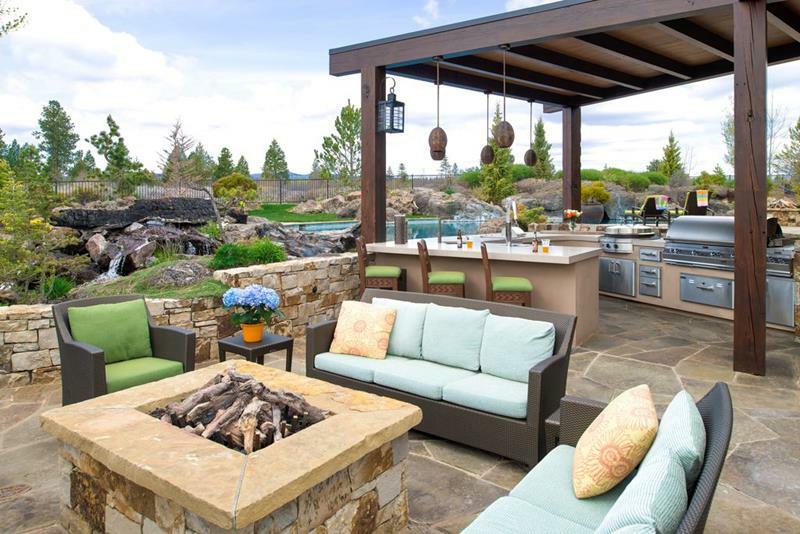 Everything about this gorgeous patio has been designed to be the ideal place for entertaining friends and family. 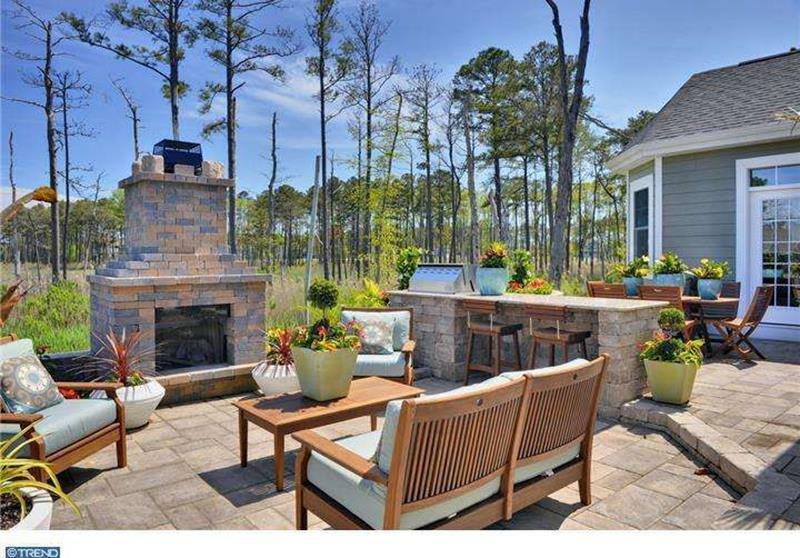 After cooking up a mean meal on that grill, who wouldn’t love to cozy up next to that outdoor fireplace as the sun sets? In areas with ideal climates for most of the year, building your patio off an existing indoor living space can be a great idea.